90 percent of startup businesses fail. That is an astounding number. 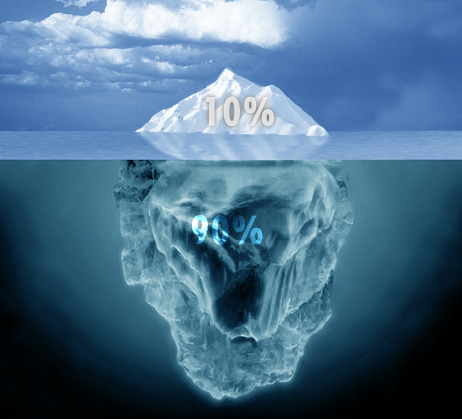 Of course, that means that 10 percent are successful in getting off the ground and sustaining themselves. Are there key drivers of the success of the 10 that the 90 have ignored? Are there changes that the successful businesses made that the unsuccessful businesses failed to make? Are there details that power success and others that flag disaster around the corner? The answer is yes to all three questions. And the answer to startup success is found in marketing. If you are going to be successful in business, you have to understand the market for what you are producing. In a nutshell, are there enough people who want what you are producing? Erin Griffith did research on 101 failed businesses. In an article for Fortune, she states, "Many startups build things people don’t want with the irrational hope that they’ll convince them otherwise.” How do you discover what the market wants from you? Do a little marketing research before you launch. Find out where the market is. Find out what the demand is for what you are producing. Figure out who your competition is and how your product or service is different from theirs. Ask questions of people in the marketing segment you believe will have the greatest impact on your sales. Then listen to them… I mean, really listen to them. Too many entrepreneurs are in love with their business idea and don’t want to hear any detractors. The detractors could be your best friends in business. Hear them! Take them seriously. Once you launch, make sure you are marketing for brand awareness. Get your brand in front of your target market. Help them understand what you are selling. Simplify your marketing message to the key reason they should buy from you. Make this straightforward and easy to remember. If you don’t engage your target market immediately, you are destined to find your business on the scrap heap in short order. There are a couple of common fallacies that doom new businesses when it comes to brand marketing. One, they think they can jump right into selling without marketing. They believe they have a million dollar idea that can’t miss. But it sure can miss if no one knows about it! Think of going into a bookstore to find that none of the books had any information on their covers – no artwork or even names of books or authors on them. Would you expect any of them to make the NY Times Best Sellers list? Absurd! Awareness marketing is an essential step for any brand. The second problem many entrepreneurs face is they have not budgeted for marketing. A lot of startups fail for lack of capital. Let me explain that most of the deficiencies are not in figuring the cost of capital investments, like machinery, nor is it in operating capital, like rent or salaries. The shortfall comes in figuring out how much marketing will need to happen in order to convince people to buy from them for the first time. I have met with many startup founders who think they have all their ducks in a row with their investors, but have failed to count the cost of marketing. When I suggest it could take up to 25% of their capital to market their new business, they get a bit fidgety. When businesses don’t have the resources to launch with a strong marketing strategy, their sales will be anemic at best. Without the sales they need to prop up the business, it will soon be out of business. Neil Patel, writing for Forbes, suggests that successful startups need to turn sales quickly to be able to make it. Growth has to happen on an accelerated trajectory for the business to be successful. That won’t happen without marketing to support it. A startup owner has to wear a lot of hats. To some people, that means a jack-of-all-trades and a master-of-none. Actually the entrepreneur who is starting a business has to be the master of all trades, at least through the critical first couple of years. If you are launching with a team of people and you think you can retreat to your little corner of expertise, think again. Speaking of the 10 percent of startup businesses that are successful, Patel explains that their owners did not ignore any little detail in the business, even when it was not their area of know-how. Here is where marketing analytics can help you. We live in a marvelous age where feedback on website activity, social media posts, email marketing, etc. is available in real time with the click of a mouse. Make sure you are measuring your marketing effectiveness. Delve into the details of these statistics. They will help you be effective in reaching your target market and they will help you spend marketing dollars wisely. That leads to a fourth category of successful startups. The beauty of small business is they can change quickly. It is an advantage they have on large corporations. When your analytics are telling you to make a change with your marketing, do so. Successful startups are agile in this way. The smart entrepreneur is anticipating what might need to be tweaked to increase sales. If you are starting a business, make sure you are making marketing a big part of your plans right from the start. You simply will not make it without a good marketing strategy. Here’s to your success.